Today I removed the Nandina from my garden because I learned that the berries are toxic to many birds. My yard is a certified wildlife backyard habitat and certainly I do not want to harm the wildlife I am welcoming into my yard. My friend, Debbie Foster, is an expert in many things concerning birds. She owns Parrot Ps and Qs and has the alphabet after her name in what I call, "birdology." (If you need help with anything concerning birds, contact her!) Debbie told me about an article she had read about how the berries from Nandina, also called Heavenly Bamboo, killed a flock of waxwing birds. 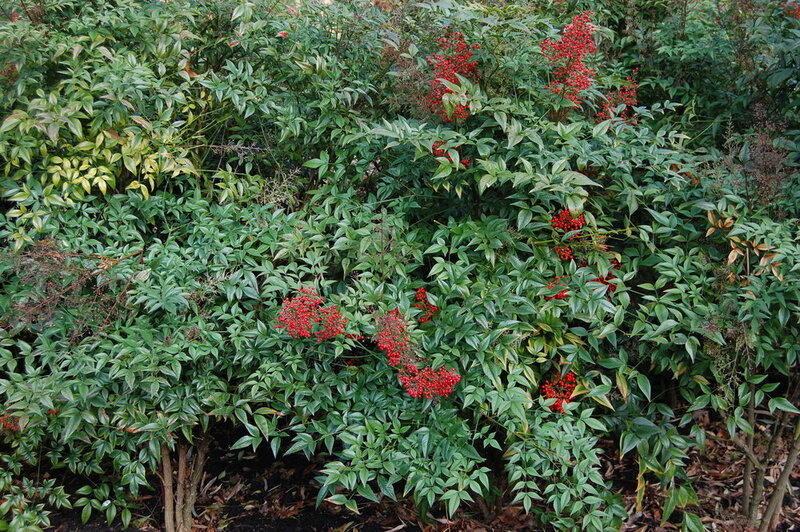 I researched it on the internet and today the Nandina were removed from my yard. I can’t say I haven’t enjoyed having the plants in my landscape; they are quite pretty. In the warmer months, they produce cute little white clusters of flowers. Each flower then produces a berry that turns red in the winter. The leaves do not shed, which is also a plus in the Fall when trees are losing their leaves. However, those beautiful berries kill birds. If I wanted to make a life analogy (excuse me while I clear my throat), what do we keep in our own lives because it looks pretty but really needs to be pulled out by the roots? I have a fellow storytelling friend and I run my stories by her from time to time. She reads them or listens and says, "You need to cut your darlings"! I know what she means. There might be some very unnecessary things in the story that I love, but which just drag it down. That's what happened in my garden — I cut one of my darlings.